I believe it was my older brother Conan (yeah, the Thai siblings have interesting names!) who introduced my family to the whole Mexican grilled corn concept but I surprisingly have yet to try his out. 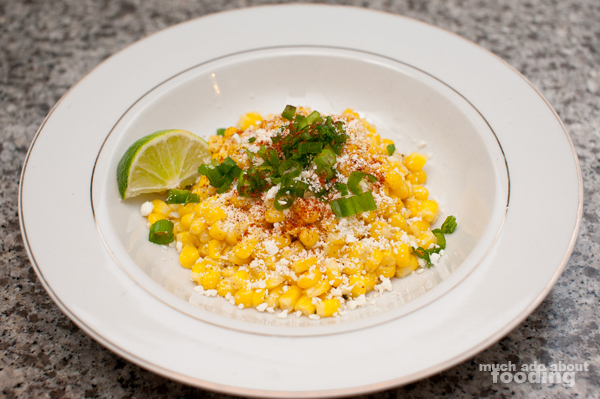 However, I did have a bowl of this delicious goodness from Taco Maria a while back and because of Duc's love for corn, we went out to buy the ingredients for it. So while we didn't grill the corn ourselves due to lack of facilities, we did manage to put together a darn good dish if you ask me. It was gobbled up very, very quickly and made without much effort! 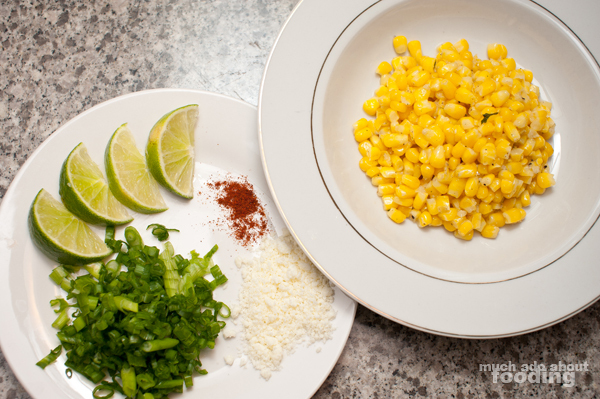 If using whole corn, remove kernels from husk. Add to a skillet and heat for 2 minutes before adding in butter and garlic salt. Chop green onions and slice your lime accordingly. In a separate bowl, mix together chili powder and paprika. 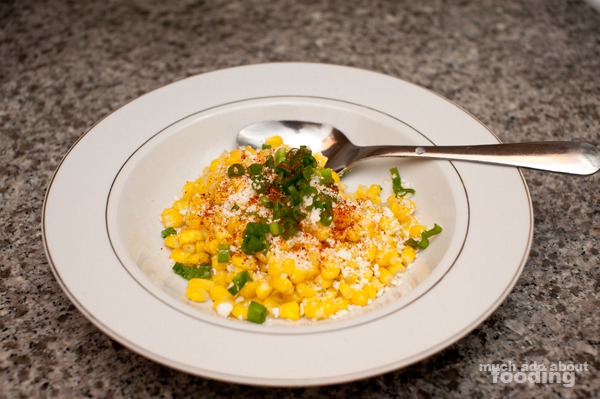 When serving, plate the corn before adding the cotija, green onion, and paprika-chili mixture on top. Squeeze lime wedge over if desired.